Extreme Motor Sales has the largest motor scooter repair facility in Orlando FL area. We will gladly fix any brand of scooter, atv, dirt bike, or go kart. We are an authorized RAZOR repair facility! WE have been in business for over 17 years! No one knows more about Chinese Scooter, ATV, Dirt Bike, GO KART repair than Extreme Motor Sales! 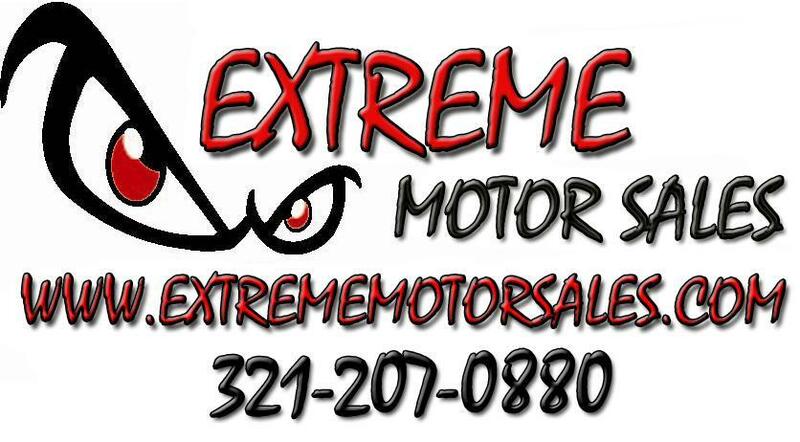 Extreme Motor Sales will service any brand of motor scooter in Orlando, Florida. Our labor rate for motor scooter repair is the lowest in Orlando Area, at only $85 per hour. ($65 per hour if you have purchased the scooter from us). Unlike other stores in town, we don't make it a habit of raising our labor rates every year! We provide the fastest turn around times on repairs, at the lowest price in town! We will give you an UP FRONT diagnostic estimate before starting any work on your street legal scooter in Orlando, so you will not be caught off guard with any hidden costs in getting your scooter back in good working order. We employ the most fully qualified mechanics than any other service center in town. We have become well known by the Central Florida community as having the quickest turn around time for getting your scooter returned to you. We also offer a pick up service through our partnership with AMA. The AMA, "American Motorcycle Association" and Extreme Motor Sales have teamed up to offer you Road Side Assistance for only $39 per year! You get The AMA Roadside Assistance for all of your bikes, cars, RV's, and trailers when you opt-in for the convenience of automatic renewal. If you use AMA Roadside Assistance just once a year, it will save you several hundred dollars! email parts@extrememotorsales.com to sign up today. The cost of this inspection program is $50. We can typically can have your scooter ready for pick up within 24-48 hours from the time of drop off. If you have any other questions please do not hesitate to contact us! We will call to inform you once your scooter is ready to be picked up. Unless prior arrangements have been agreed to, if your scooter is not picked up within seven days of the servicing being completed, a storage fee will be added to your bill. Our current rates are $25 per day. A: No. Scooters are difficult to diagnose unless you dive into the repair and begin. No two scooters and/or problems are the same so this is difficult to do. However, unless there is a major problem with your scooter, we are usually able to repair within that hour labor charge. A: We offer AMA Roadside Assistance for $39/yr to bring your scooter to our service center. Contact us to sign up. AMA will require 24-48 hours for your membership to take effect. Q: What are your current scooter repair labor rates in Orlando? A: Our labor rates are the lowest in the city, at only $65-$85 per hour. Q: What are some of the most common problems you see on scooters in Orlando? Q: How many years have you been repairing scooters in Orlando? A: We have been in business 9 years repairing/selling motor scooters. We are a licensed, insured, bonded, LEGAL Florida DMV Dealer. Beware of the fly by night companies out just to make a buck! Q: What other types of products will your service center repair in Orlando, Florida? A: Pretty much any power sport product with a motor – scooters, atvs, dirt bikes, pocket bikes, mopeds, and go karts. We also work on electric vehicles, and are an authorized service center for Razor Electric Scooter Products. Q: Do you stock parts at your Orlando Florida facility? A: We stock a lot of the most common parts. Occasionally we need to order manufacturer specific parts, but even if we do, the lead time will only be a few days. We also carry Performance parts for your scooter! A: We recommend once after 300 miles and then 3 months or 1,000 miles thereafter, whichever comes first. Q: Do you ever offer any specials? Q: Can I drop my broken scooter off after hours at your Apopka scooter repair center? Whether you're looking for low speed vehicles, electric vehicles for sale, ATV's, go karts, Trike 3 wheel scooters , or motor scooters, Extreme Motor Sales has you covered.